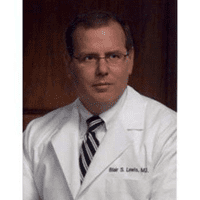 Dr. Lewis is a leading authority in endoscopy procedures, using state-of-the-art technology and techniques to diagnose diseases and perform minimally-invasive procedures in patients from Manhattan's Upper East Side and throughout New York City. An endoscopy is a minimally-invasive procedure that uses a thin, flexible device called an endoscope to evaluate the upper portion of your gastrointestinal tract, including the esophagus, stomach, and duodenum (the upper portion of your small intestine). Because it examines just the upper part of your GI tract, it's sometimes referred to as an upper endoscopy. Endoscopies can have many uses, including evaluating symptoms like pain in the stomach, upper abdomen or esophagus, evaluating swallowing disorders, diagnosing the cause of heartburn, evaluating for the presence of gastroesophageal reflux disorder (GERD), determining if an ulcer or a hiatal hernia is present, to take small tissue samples for evaluation at a lab, and to perform minimally-invasive procedures to treat an array of conditions. What is the endoscopy procedure like? Prior to your endoscopy, you'll need to fast (go without eating) to ensure the upper GI tract is clear so it's easier to view. You'll be given a sedative so you can sleep during your procedure, and there will be no risk of gagging. The endoscope will be passed through your mouth, down your esophagus and into your stomach and duodenum. A tiny camera at the end of the endoscope will send videos back to a monitor where they can be viewed by the doctor. When needed, tiny tissue samples may be removed for analysis, or minor procedures may be performed. Most diagnostic procedures take about 30 minutes to complete. Once your procedure is complete, you'll be moved to a recovery area for about 20 to 30 minutes before being discharged. You may feel a little groggy and your throat may feel slightly sore. You won't have any dietary restrictions, but you will need to have someone drive you home. What areas does upper endoscopy evaluate? During endoscopy, a flexible instrument is passed over the tongue into the esophagus and is advanced through the stomach into the first part of the small intestine, called the duodenum. The patient is lying on their left side during the exam. The instrument has a video camera built into its tip and the image of the lining of the digestive tract is projected to a television screen. The instrument is the diameter of pinkie. 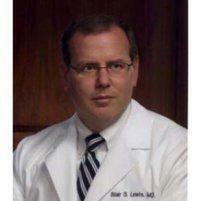 Dr. Lewis uses state-of-the-art equipment and presently uses high definition endoscopes. The procedure generally takes 15-20 minutes to perform. Occasionally procedures take longer especially if polyps are encountered. During endoscopy, biopsies can be obtained from anything abnormal and polyps can be removed. This is all done during the same exam. What diseases can be detected by endoscopy? Since endoscopy examines three different organs, there is a wide array of problems this test can identify and even manage. Endoscopy is used to evaluate the esophagus. This can be for problems such as reflux disease or swallowing problems. Endoscopy can identify changes of chronic reflux such as Barrett esophagus and can spot a hiatal hernia that can predispose to reflux disease. Endoscopy can look for abnormal veins in the esophagus that can be a cause of internal bleeding and can provide therapy if such changes are seen. Endoscopy is also used to cauterize or remove abnormal tissue in the esophagus. Endoscopy is also used to evaluate the stomach. The test can determine the presence of gastritis or inflammation of the stomach and can see if ulcers are present. Endoscopy can also see if there area polyps or growths in the stomach. Bleeding sites in the stomach can be cauterized and abnormal tissue can be biopsied. Endoscopy also views the top of the small intestine. It can be used to look for ulcers. It can even look for causes of malabsorption in the small bowel. What are other examinations of the upper GI tract? Another way to examine part of the upper gastrointestinal (GI) tract is with an x-ray study called an upper GI series. In this exam, a patient swallows white liquid call Barium and x-rays are obtained as the barium fills the esophagus, stomach and small bowel. This exam does not allow biopsies nor can it provide therapy. Subtle changes such as a Barrett esophagus cannot be diagnosed by an upper GI series. Upper endoscopy is usually well tolerated and rarely causes pain. The lining of the esophagus, stomach and small bowel can only sense distention. Unlike the nerves in your hand, there are no nerve endings in these areas that can sense temperature, touch, or pain. Air is instilled during the exam to distend the intestinal and allow adequate examination. This can produce the sensation of abdominal pressure. The air is removed prior to the completion of the exam. Patients are sedated prior to starting the exam. An anesthesiologist will administer sedation. The typical drug is propofol. There is no standard dose of sedation and the amounts given are individualized. More medication can always be given during the exam should you become uncomfortable. The medication can produce amnesia and you may not remember the exam. The most common fear of upper endoscopy is that of “gagging”. With sedation and using the thinnest instruments available this will not happen and patients do not have to fear this. The only preparation for the exam is fasting. We ask patients not to eat or drink for 8 hours prior to the exam. If you have an early appointment, food eaten just before bedtime will likely not have left your stomach and thus eating late in the evening should be avoided. You cannot take medications just prior to the exam since they can coat the stomach, limiting visualization. Some medications can interfere with the examination. Blood thinners, insulin and iron products are examples of such medications. You should notify the office of all medications that you take as well as any medication allergies you have. You should alert the office if you require antibiotics prior to undergoing dental procedures, since you may need antibiotics prior to endoscopy as well. Dr. Lewis will meet with you after the exam and results will be provided immediately. Results of any tissue sent for pathologic evaluation are usually available after 3 business days. A full written report will be sent to your physician. Endoscopy is extremely safe. Possible complications include bleeding and perforation. Bleeding is usually minor and stops on its’ own or can be controlled through the endoscope. This is usually not associated with biopsies but can occur with polypectomy (the removal of polyps or growths). Perforation is extremely uncommon during a normal exam and when it does rarely happen, it is usually associated with attempts to remove large polyps or tumors. Perforation requires immediate surgery. Although complications after endoscopy are extremely uncommon, it is important that you recognize early signs of any possible complication. Notify the office if you have severe abdominal pain, fever and chills, or bleeding of more than one-half cup. Bleeding can occur several days after polypectomy.